BOSTON, MA -- The Eastern Hockey League Premier (EHLP) is pleased to announce our league alignment for the upcoming 2018-19 season. 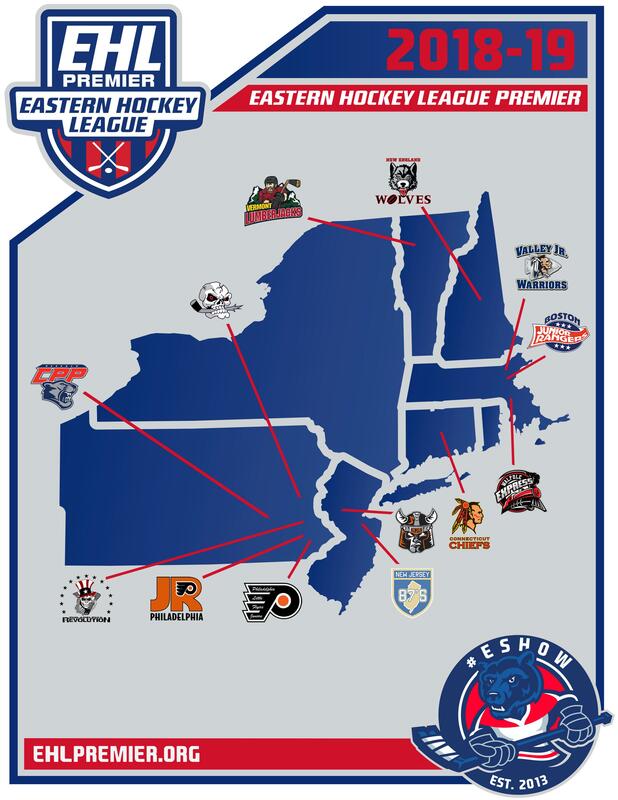 Located in the Northeast region of the United States, the EHLP serves as a sub-division for the Eastern Hockey League (EHL). This Fall, the EHLP will kick-off its 4th season under the EHL, with 13 teams split up between 2 different conferences. While the name has changed a couple times, the model remains the same; to help players develop and prepare for the next step in their journey. The EHL's sub-division has done a great job promoting players up the ranks of junior hockey, and is responsible for a number of the league's NCAA Commitments. With every player comes a different path, and the EHLP seeks to make every journey as enjoyable and successful as possible. Below you'll find the conference-by-conference breakdown for the 2018-19 season, along with map displaying where all 13 EHLP teams are located. Also, be sure to CLICK HERE, for a list of the EHL players who developed in the EHLP prior to making their NCAA Commitment.